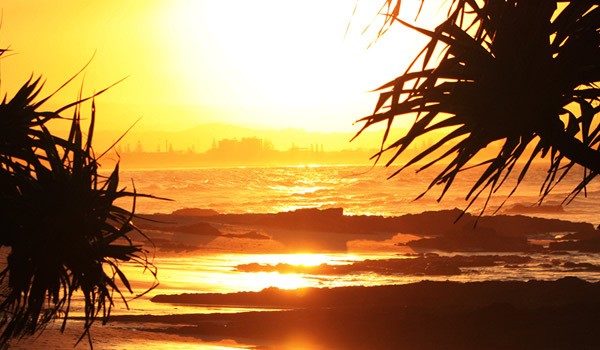 Tallebudgera Creek can be found at Palm Beach on the Gold Coast. 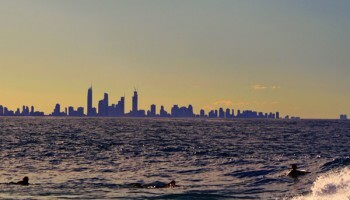 It is a great place to easily spend a whole day at the beach with your Gold Coast Kids. Tallebudgera Creek has a flagged area and Lifeguard tower. Drinking fountains, beach showers and male and female toilets are provided for your convenience, along with change rooms. There are also some terrific picnic tables and gas BBQs for self-catering, or the nearby Surf Club offers different dining options. Free car parking is available. 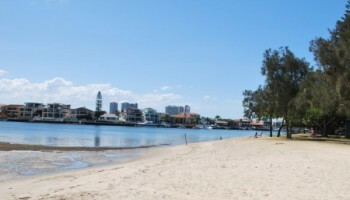 An unfenced play area at Tallebudgera Creek is perfect for Gold Coast Kids, being under shade sails and including a slide, seesaw and rockers. Bench seating and a great walking path and bikeway feature also. Tallebudgera Creek is relatively safe for swimming, though be sure to swim between the flags.